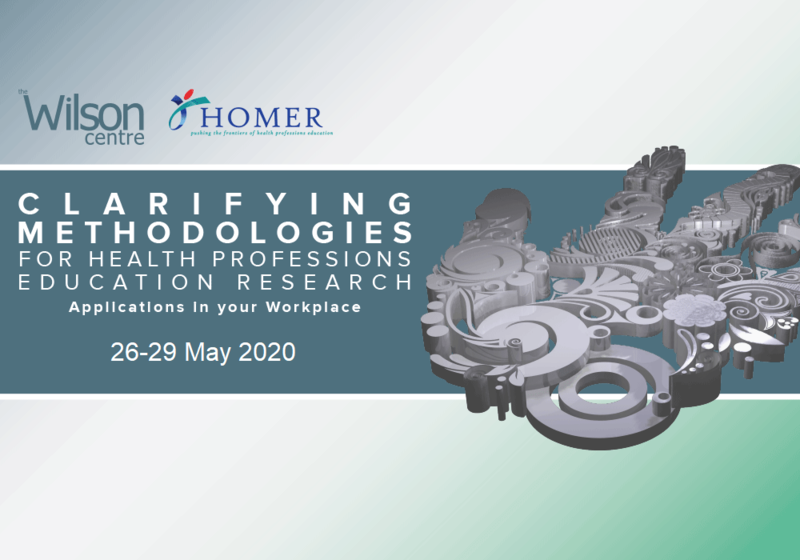 The Wilson Centre is proud to continue to support qualitative research in health professions education by offering the Atelier Qualitative Research in Depth. Led by several of the world’s most respected health professions education researchers, participants will have the opportunity to further develop their research approach and grapple with the challenges, potential controversies and diverse perspectives surrounding qualitative inquiry. If you are interested in attending the Atelier please submit an application via email [thewilsoncentre@uhn.ca]. A cover letter describing your experience with qualitative research and your reasons for applying. A sample of a completed study or paper that best exemplifies your qualitative research background (i.e. published article, manuscript, course paper or thesis). Selection Process: Successful candidates will be notified a week or two after receipt of application. Notes: Course material & breakfast/lunch provided. Fee does not include accommodation. Partial attendance and fees are not available. Full payment deadline: July 31, 2017. A processing fee of $250 will be retained for those who choose to withdraw their application after being accepted in the program; a fee of $500 for those who choose to withdraw their application between August 15 to September 15, 2016; NO REFUND for those who withdraw after September 15th.